Mark Haddon's breathtaking novel begins with a harrowing plane crash: Maja, the pregnant wife of the unimaginably wealthy Philippe, is killed, but their daughter Angelica survives. Philippe's obsession with the girl's safety morphs into something sinister and grotesque as she grows into a beautiful teen. A young man named Darius, visiting Philippe with a business proposition, encounters Angelica and intuits their secret -- he decides to rescue her, but the attempt goes awry and he flees England by sea. This contemporary story mirrors the ancient legend of Antiochus, whose love for the daughter of his dead wife was discovered by the adventurer Appolinus of Tyre. The tale appeared in many forms through the ages; Apollinus becoming the swashbuckling Pericles in Shakespeare's eponymous play. In The Porpoise, as Angelique comes to terms with a life imprisoned on her father's estate, Darius morphs into Pericles, voyaging through a mythic world. In a bravura feat of storytelling, Haddon recounts his many exploits in thrilling fashion, mining the meaning of the old legends while creating parallels with the monstrous modern world Angelica inhabits. The language is rich and gorgeous; the conjured worlds are perfectly imagined; the plot moves forward at a ferocious pace. "Staggeringly ambitious, innovative, beautifully written. . .The Porpoise has the pace of a really good thriller, combined with a subtlety and depth that few thrillers possess." "A full-throttle blast of storytelling mastery. Ancient and modern overlap in exhilarating ways, it's like romping through a literary Netflix: an episode of something historical and bloody, then something slick and contemporary, then something really weird and unnerving. . .The Porpoise is a joy to read. "Mark Haddon cuts down to the grittiness of humanity every time he writes. 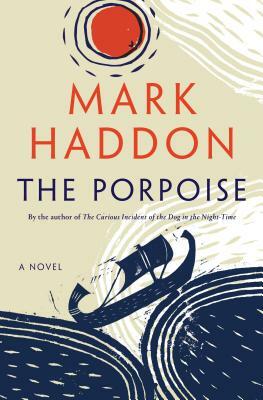 The Porpoise is a beautiful, unputdownable, ancient tangle with its own sweeping tides and dangerous depths." "An artfully crafted story of layered lives. . .Haddon’s ambitious tale captures the ethos of tragic Shakespearean vibrations and the tangle of lives that magically intersect. The prose is exquisite and elevates this story that blends reality and mythology to great effect."